There are hundreds of campaigns in the world for things such as Diabetes awareness, Cancer awareness that receive millions of dollars in research, but where is the Mental Health awareness research funding? Mental Health and Addiction Research are two of the lowest funded research diseases / disorders in the world, but these two diseases / disorders are costing the world billions in medical care, justice system costs and much more. 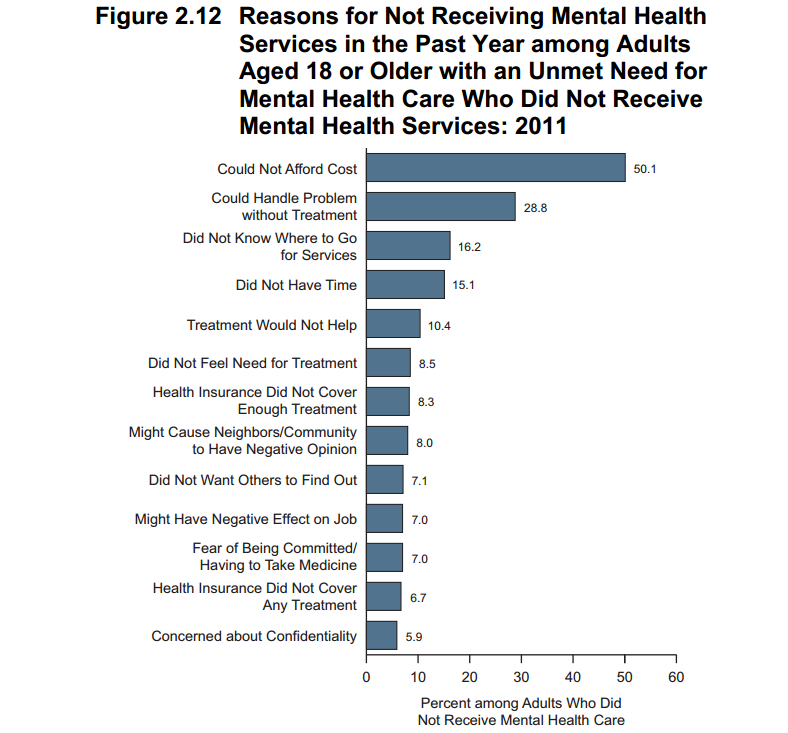 50% of people in the world living with mental health and/or addiction disorder reported that they did not seek treatment because they could not afford it. Another 16% of the population did not receive treatment because they did not know where to go to receive proper treatment. With proper awareness and treatment options made available with awareness focused in on mental health and addiction research and treatment, these staggering percentages would be decreased dramatically. 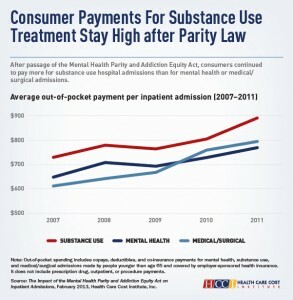 Insurance companies need to start stepping up and providing funding for viable treatment for individuals that are seeking help, because this would decrease their costs overall in regards to providing millions in health care for individuals suffering from addiction and mental illnesses. Society continues to have little patience for addiction and mental health disorders. This could be changed with awareness campaigns focused on ending the stigma that addiction is a choice and not a disease. Addiction disorder is a medically proven disease of the mind and body. Research has been showing this time and time again and if everyone in the world had the opportunity to walk in the shoes of an individual in a treatment center for one day, they would understand. Treatment centers are not a vacation environment as sometimes portrayed on television and in the movies. This portrayal does not help the stigma that mental illnesses and addiction disorders are will-power or just decisions an individual is making. Bottom line: Addiction and Mental Health Disorders need to be treated and approached by society / the medical world as if it was a legitimate, physical cancer. Addiction and Mental Health Disorders is in fact a disease of the mind and body and with the proper treatment, people are able to live a sustainable and manageable way of life. If only it was as easy as giving ‘people’ the facts! As all the other comments and your own blog admit, mental illness (my own particular vice!) and indeed the disease of addiction are so widely misunderstood, so inadequately funded, us sufferers so laughably misjudged that it’s not even funny! If these illnesses were of a physical nature, opinions would be so different and treatments would be much more widespread. I just wonder is there ever going to be an end to the stigma we have to endure? At times I am weary of even the fight!! Yes I agree. It is time to end the stigma. It is time to educate people of the affects of the disease of addiction. Not how it affects you at home but how it affects the person addicted. The change in behaviors are due to changes in the brain. Its a cancerous disease that is killing millions of people and yet so little is being done by our government. It’s really shameful. Thank you for your posts. Dual Diagnosis is a very important challenge for those of us who live life in recovery from addiction, and battle with mental health illness and disorders. So I share this as a Reblog because this is very well put! We need to stop cutting funding for mental health and addiction treatment & services. And It’s time we “Talk About Dual Diagnosis”! Not a problem at all. Thank you for the reblog. Have a blessed day! I have a big problem with this world not understand ho important addiction is and how important it is to educate others on addiction and the causes and effects. Some just do not understand , or WANT to understand that THIS IS A DISEASE!